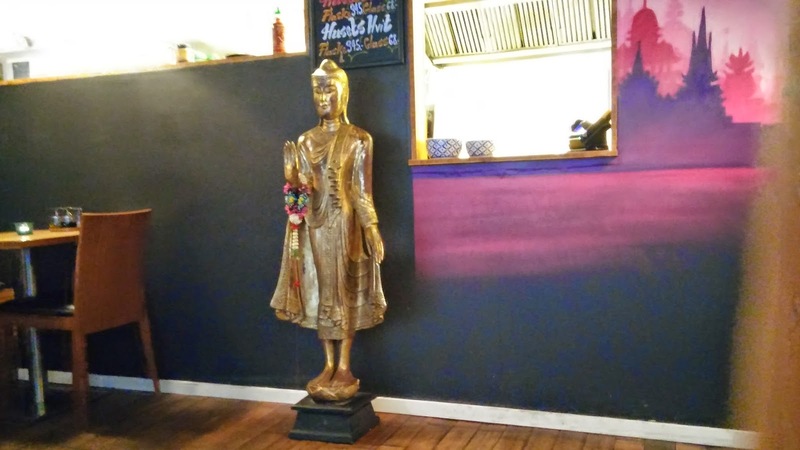 "Blue Elephant" is the name of a group of very classy Thai restaurants that you can find for example in London or Copenhagen. When my wife heard there was a restaurant called "Blue Elephant" in Oslo, we were quite curious to see whether this restaurant was a part of this group or not. So we went there a few days ago. 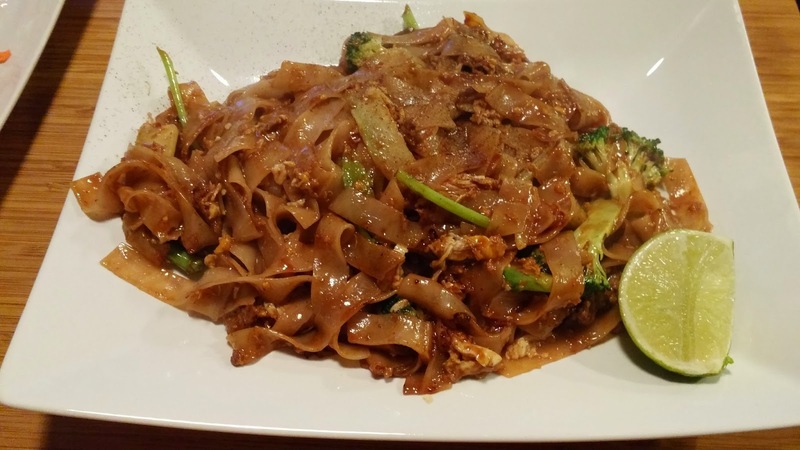 The restaurant is not a part of the mentioned restaurant group and is more modest. Not as "chic" and smaller. 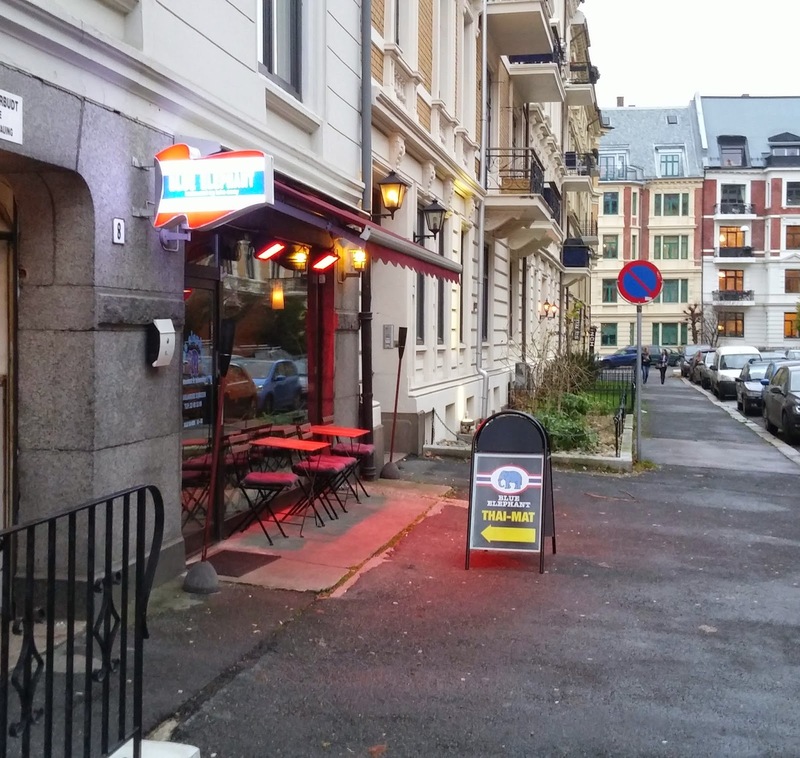 It is located near Solli, just behind the Niels Juels Gata tram stop. I decided to start the meal with a glass noodle salad. It was a wonderful dish. Both my wife (who tasted it) and I liked it. The glass noodles were actually served warm (something new to me), the dish had some chili but not too much (just a bit spicy) and it had just the proper amount of lemon/citrus juice. 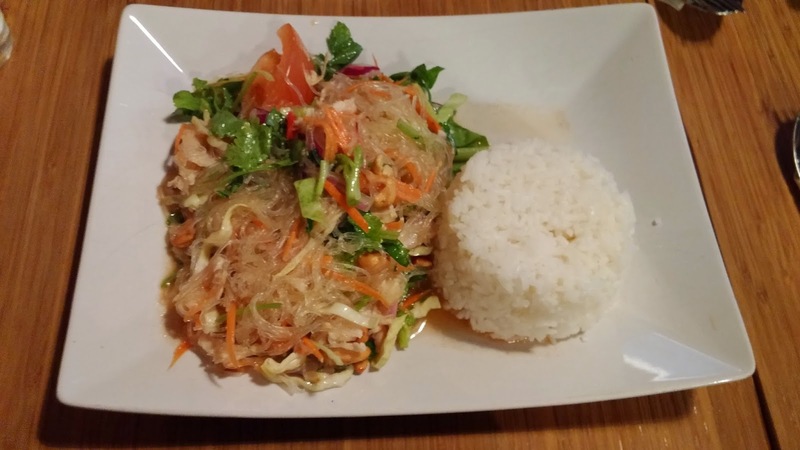 Another thing that I hadn't had in other restaurants: it was served with rice. The only thing about this starter is that it is big, and I believe I could have contented myself with it. Or maybe order it to share between several people. 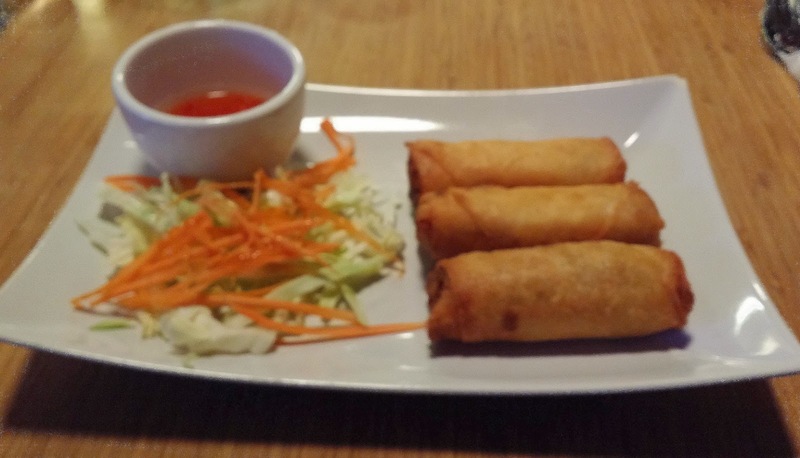 My wife went for fried spring rolls because she had seen a stunning picture of them on the website of the restaurant. There was nothing wrong with these spring rolls but the presentation was very basic and it was therefore a small deception for my wife. The salad with the spring rolls has a sweet dressing which did not convince her either. Our son was not too hungry so we didn't order a starter for him. 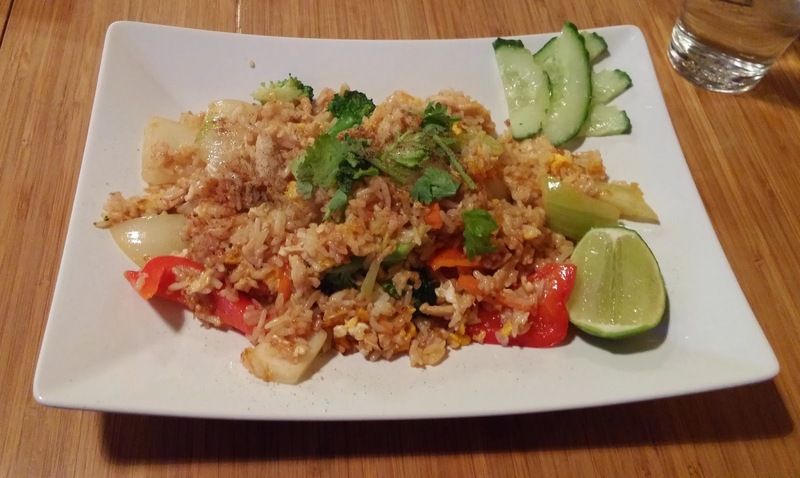 The restaurant didn't have a children menu, so we ordered some fried rice. The meal was quite good but there was one issue with it: a bit too much pepper from a general perspective and as it was intended for my son (the waitress knew it), this was way too much pepper. A shame because otherwise, it tasted nice. 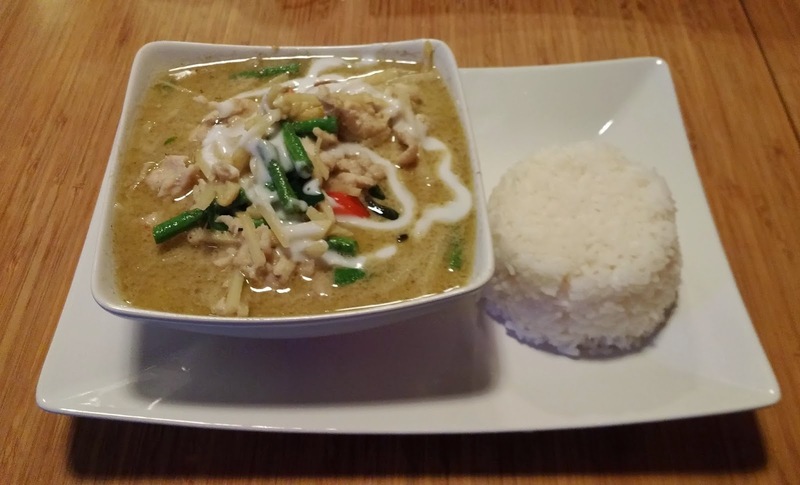 My wife chose a green curry as her main dish. The taste was good. Just the level of spice my wife wanted (not so spicy it burns the mouth but still enough spice to make it a curry). The only bad thing about it is that it was a bit too liquid. The noodles looked a bit "dark" but the dish was good. A bit sweet but not too much thanks to the fresh lime juice. The service was nice and friendly. When we arrived in the restaurants, we were the only guests so the food came quickly but after that the restaurant became quite crowded and the waiting time increased (the kitchen isn't that big). A concern of mine iss the lack of children menu or "small children"-friendly dishes. Otherwise, this is a nice little restaurant.